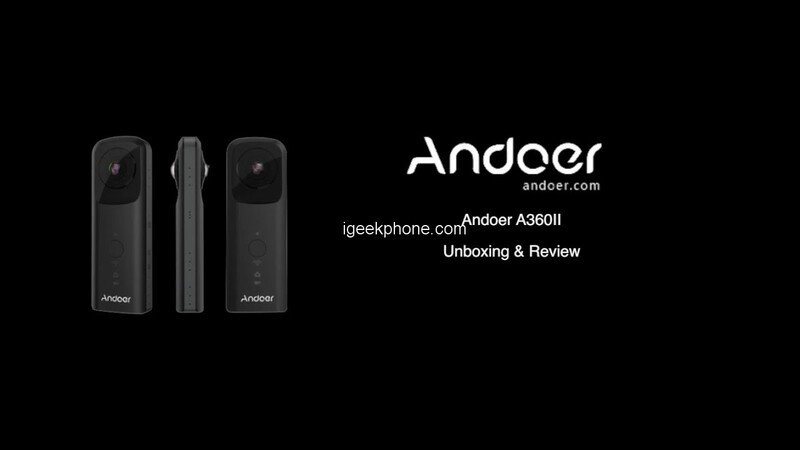 Andoer A360II Handheld 360° VR Video Camera can support 1920 * 960 30fps & 1440 * 720 60/30fps video recording, 5M(3008 * 1504), 2M(1920 * 960) photography.With a high-quality built-in microphone, and can take photos while recording, this beauty will not only freeze those special moments in time but will have you virtually reliving them over and over. Whether you’re taking in a mesmerizing sunset, relishing the view atop of mountain just climbed, soaking in the history of every finest city, or simply enjoying life to the fullest. 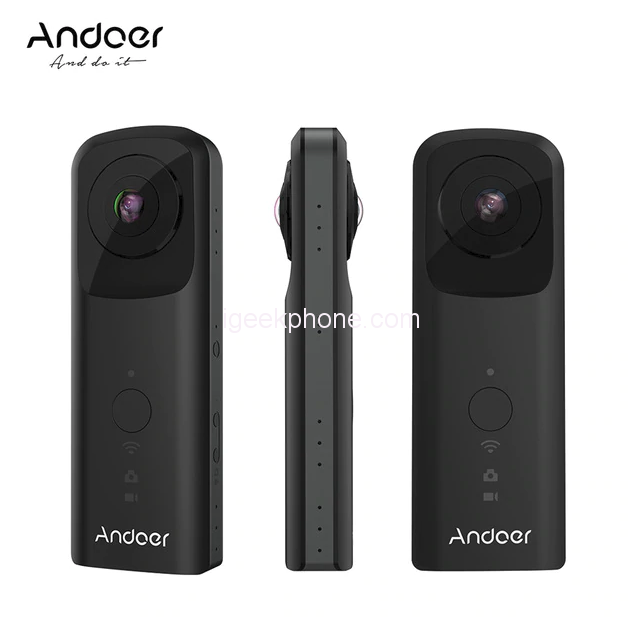 On first glance, it really looks like a Ricoh Theta S as it possesses a lot of the features from it, such as the shape, the location of the buttons, and the indicators. Upon holding it, it certainly feels well-built and sturdy, has solid clicking buttons and a decent amount of weight to it. Also, the material used feels rubberish making it very easy to grip and hold on to. The buttons are also in an ideal position, allowing it to be accessed very conveniently. But I find the Wi-Fi button and mode button too close and because of that, it’s possible to press the wrong one some of the times. 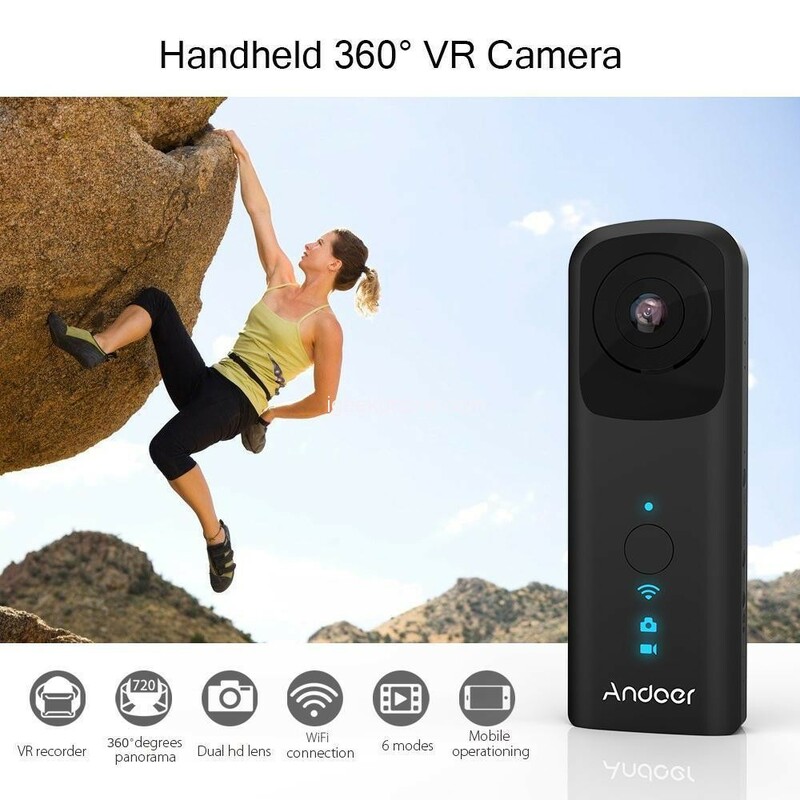 Andoer A360II Handheld 360° VR Video Camera Built-in 3.7V 1500mAh rechargeable battery. The long-lasting battery ensures you never miss a moment of your adventures or those precious family memories! Connects to the app and allows you to view live streaming video from the camera, control the camera remotely and view your recorded videos and still photos. Dual 210° fish-eye super wide-angle lens, made of 6 layers of high-definition optical glass, the high resolution provides fully spherical 360 Degree images & videos. Video recorded in VR mode with VR helmet can make you immersed the incredible moment.